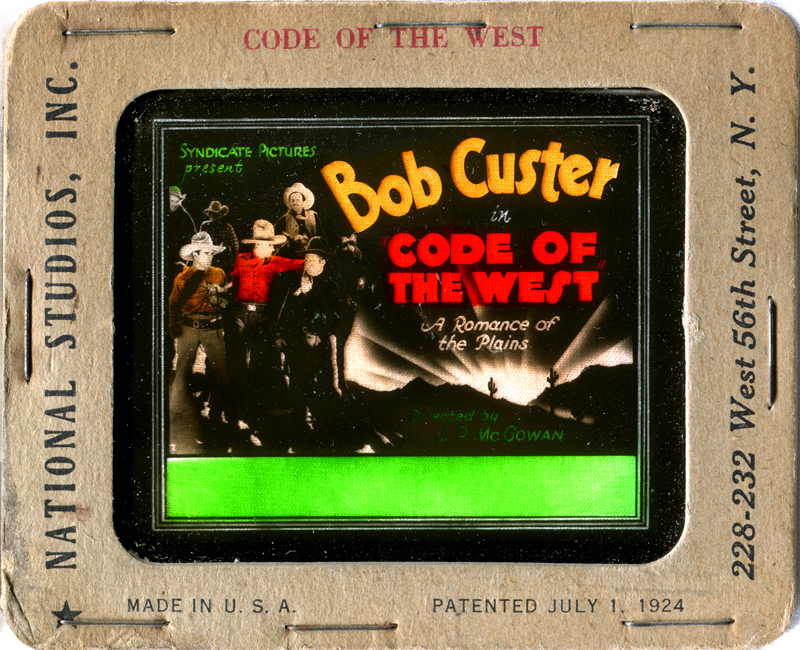 Magic lantern slide for "Code of the West" (1929), starring Bob Custer. A Syndicate picture (a production company run by Trem Carr, who later founded Monogram Pictures). Shot entirely in Newhall  particularly on Spruce Street (modern-day Main Street) and Railroad Avenue, including the Newhall train station and the Hap-A-Lan dance hall. WATCH: Newhall Locations in "Code of the West" with Philip Scorza.